You can help yourself if you know how. There are a few steps, they are not hard but they must to be completed. First you need to recognise and own the problem you have. You have to name it and make it a thing that you oppose. It is a thing to be overcome, dealt with, resolved, put away from you. It has to be a hurdle that you want to overcome. This attitude places you in opposition to the problem. This is what it looks like in practice. I am depressed, I recognise that but I am going to do what I can to recover. Or, I am anxious but I am actively working on removing anxiety from my life completely. This new attitude puts you on the starting blocks of the journey to a better life. As with every journey you must start from the beginning and then move forward. It’s the only way. The second thing you must do is to find a system that gives you the tools you will need to make the challenge to the problem. There is simply no point is being anxious or depressed and accepting this as a fact of life. It is not a fact of life. I know it might feel that way but that is because we all use past experience to inform our future journey. Well if you look back you will see what you have had. But that is not what we want for the future, so we must accept that looking backwards for information, is in this respect, plainly unhelpful. Once you know what to do you are half way there to a different experience. 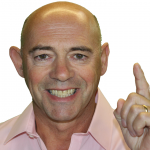 The tools I recommend are those of cognitive behaviour therapy. I have written about these a lot and it is what I use in my private practice. But I also include the developments of my own I have created over my years of practice. This combination is sufficient to take you the whole way of the journey out of depression and anxiety. 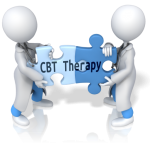 Now you may think that it is hard to find a CBT therapist and you may be right, depending upon where you are. But this does not stop you from becoming your own therapist. After all what is therapy anyway but the transmission of tools and resources from the therapist to you? But then you have to use them. But suppose you could harness some of those hours to attack your problem. How different might your life be if you devoted some small amount of time to changing your life for the better? It usually takes between 6 – 12 hours in my private practice to remove depression and anxiety from the everyday experience of the client. Can you find 6 – 12 hours in your life to change things? Over, say 2 months? If you can’t then here is the last piece of advice. Don’t beat yourself up about feeling anxious of down. Until you have the drive to have a different life why not accept where you are anyway. Stop saying “I should be better”, “I should be able to snap out of it”, “I ought to be stronger”, “I must try and forget it”. If you aren’t going to get on the path of change, at least get on the path of acceptance until change seems like the appropriate next step. If you can find some small amount of time to change your life. Then the new you is only 6 – 12 hours of total effort away. My recommendation is choose one of these paths. Book an appointment to see me in person, in Reading or via skype. Use the Panic Pit Stop online course. This will give you everything you need. Join the panic pit Stop workshop and get a huge boost and leap forward. After this you will feel like you have accelerated and I think you’ll be amazed at what you can do.